October 7th 2018 - ATLANTIS, Fla. – This week, Championship Tour Event #9 was held at Quail Ridge Country Club on the South Course in Boynton Beach, FL. Two familiar faces captured victories battling through tough wind. The boys’ division featured a packed leaderboard this weekend. Following play of round one, three juniors found themselves tied for the lead after rounds of 1-under-par 71. Garrett Giles of Palm City, FL fired an opening round 74 to find himself 3 off the lead entering Sunday’s final round. Giles fired a final round 2-under par 70 to capture the boys’ title by two strokes. Rafe Cochran of Palm Beach, FL took home the boys’ 13-15 age division, while Henry Horgan of West Palm Beach, FL would take home the boys’ 16-18 age division. 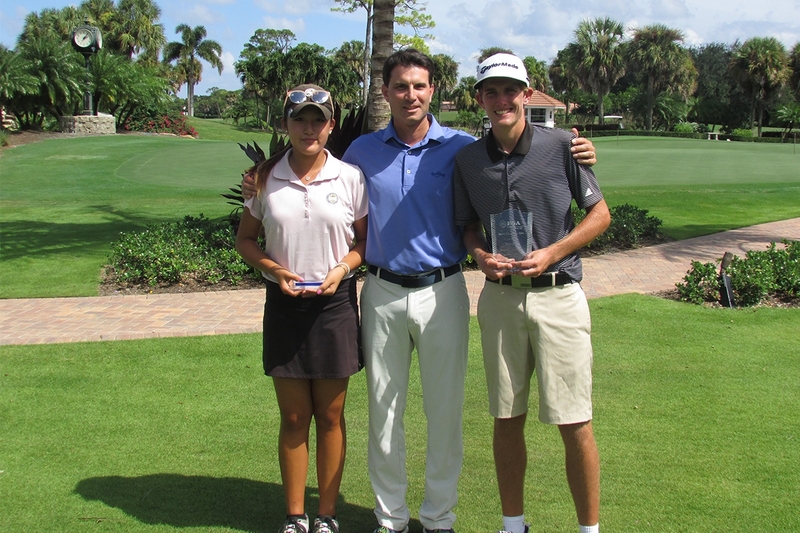 Skylee Shin or Doral, FL returned to her winning ways this weekend. Shin fired a final round 1-under par 71 to erase a 2 stroke deficit during the final round and capture her second straight Championship Tour victory. Ava Marano of Jupiter, FL took the girls’ 13-15 age division, while Laura Lou of Miramar, FL took home the girls’ 16-18 age division.